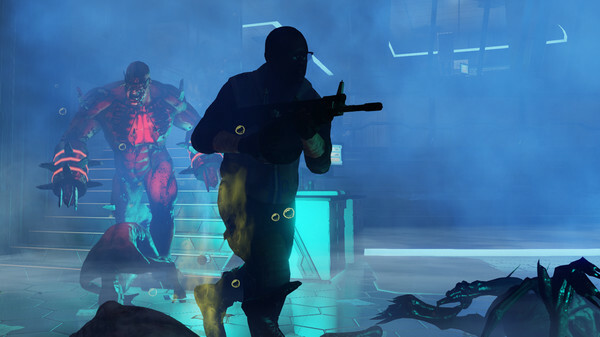 Tripwire has announced the final release date for Killing Floor 2 on November 18th. They have also said that Linux files will come post launch. The good news is their wording implies they are actively working on it in some form. I really liked the first Killing Floor, but the Linux release still has some issues that were never fixed which is sad. Hopefully with them doing it in-house this time they pay more attention to the Linux version. I was hoping to play this during Early Access. But it's nice to know they haven't forgotten about us. I really enjoyed the first one. It's one of the first games I played on Linux. I honestly thought KF2 was going to release last November because it had already been in early access for so long even back then. I think companies underestimate their work-load [post-launch] and find themselves in a world of trouble when there are so many unexpected things to get done. Two and half years ago, this announcement was made. That was quite exciting, wasn't it?? Now? Not so much. They've horribly mistimed their hyped on this one and the whole "throwing a bone" to the Linux crowd is pretty insulting. Love them to prove them wrong, but when they closed the Linux steam thread so that only owners of the game could comment, it was a slap in the face to the people who were waiting for them to deliver on their promise of day one Linux support. Deeply, deeply disappointing. I would make the joke that my money will be waiting until post launch as well but I don't buy on launch day so it isn't like I would of bought day 1 for a Linux version. Going off the reviews I'm not even stoked for this title anymore really. If they ever release a quality linux port I'll look into buying it to support the effort but otherwise I don't feel inclined to purchase it. I'll be honest: "Linux support" in combination with "announced" isn't even worth the headline any more, much less reading (or writing) the article. We might as well completely skip all the "announced" here and concentrate on all things "released". That was the first (and the last) game I'll ever pre-order that said would have GNU/Linux support. I would never have imagined that it would take so long to be released. I used to be such a massive Killing Floor (1) fan, and now I hate the game because all my friends have been playing it without me. Well, were playing it... I don't think I know anyone who plays it these days (on my Steam friends list at least). At this point, I'm amazed the game is ever going to get a release... but I'll be even more amazed if KF2 for GNU/Linux is released before it's completely playable under Wine. KF2 actually does run under Wine already at this point, but the corrupted graphics due to unimplemented bits of the DirectX 11 API make it unplayable for the moment. The cynic in me expects that's what TripWire was planning all along, which is why the game took so long to finish (since they were working on other games in the meantime anyway). Soon Tripwire will be able to get away with a Wine wrapper. And honestly, KF1 under Wine had less bugs than the KF1 GNU/Linux builds, so it totally makes sense they would just do that. My interest for KF2 was lost long ago. I'll buy it one day, but it will be on sale at a deeply reduced price like all the other antiquated titles I purchase.